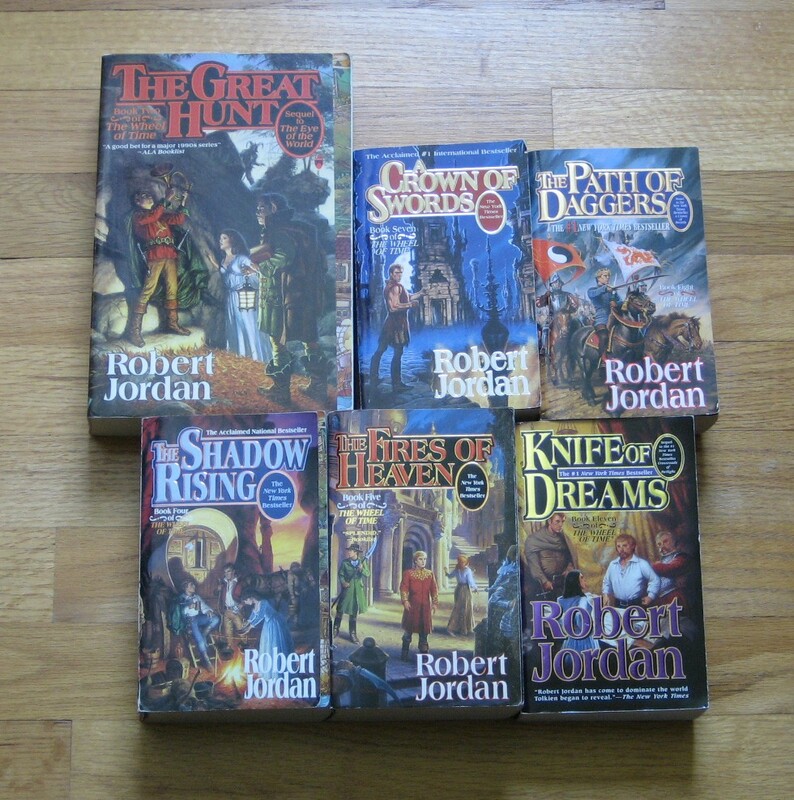 Apparently I’m collecting The Wheel of Time books now…so far I’ve got 2, 4, 5, 7, 8, and 11. That’s a start. 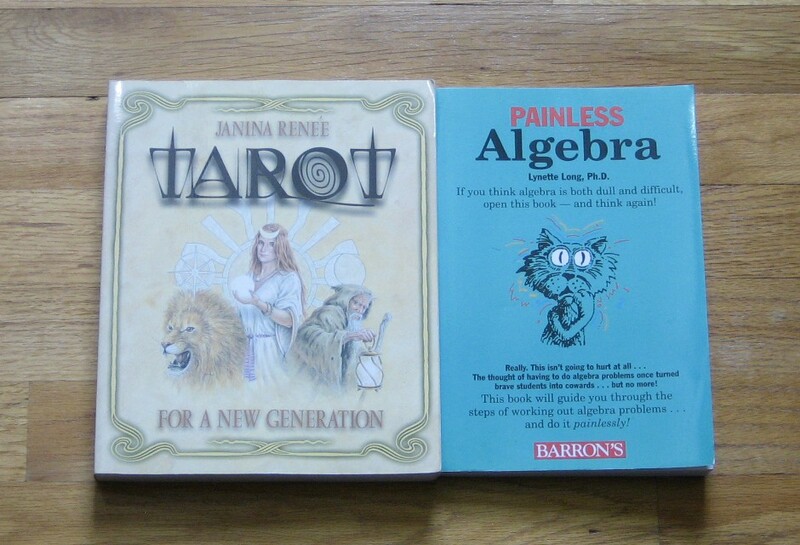 Tarot and math make an odd combination, but I’ve always had an interest in forms of divination, as well as a fear of math. It says it’s painless, so maybe I’ll learn something. 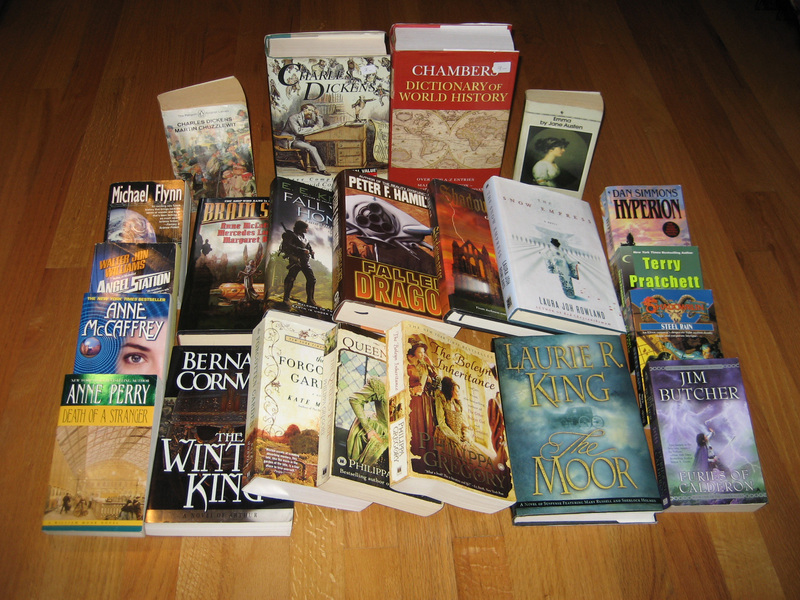 Here I present to you, once again, pictures of books. Enjoy! 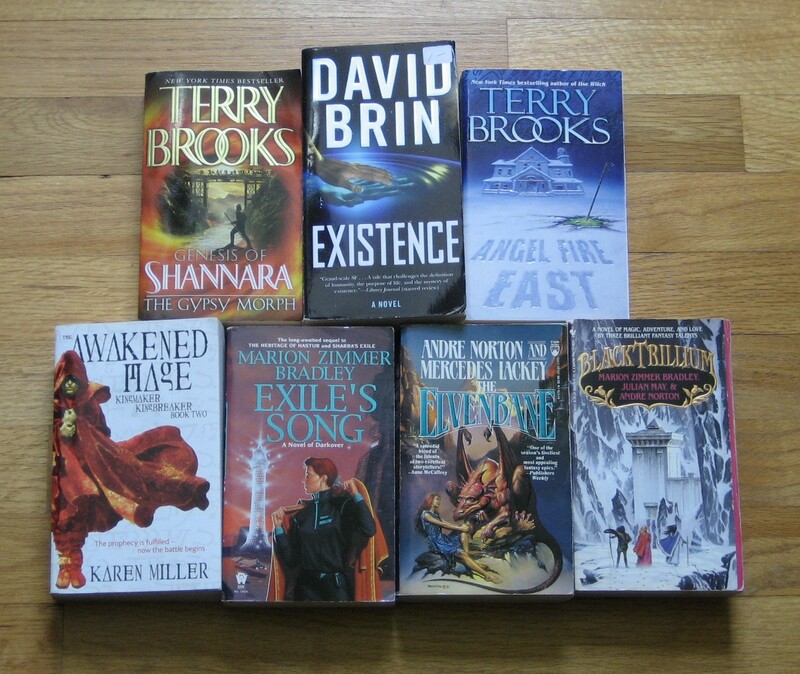 The one in the upper right is Sapphique, the sequel to Incarceron. 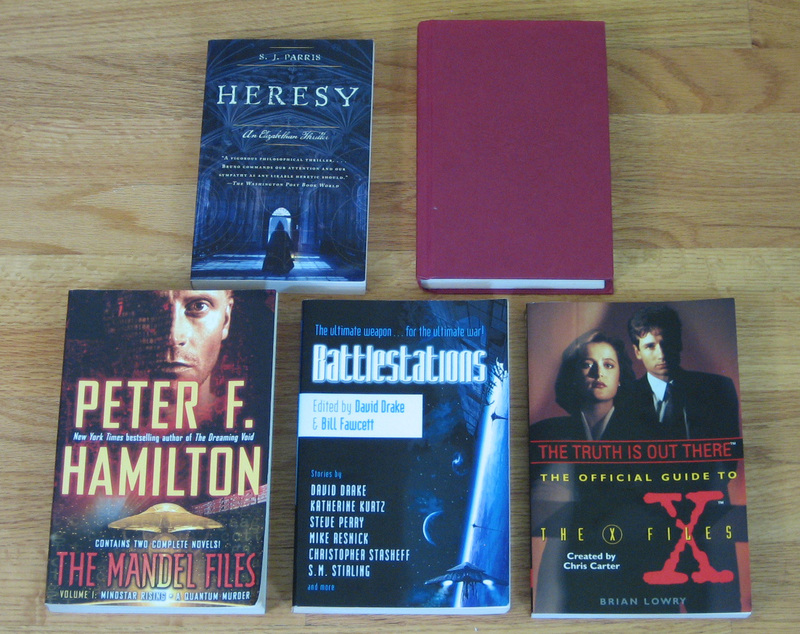 The X-Files book is there because I just couldn’t help myself, since I was a huge fan of the show. 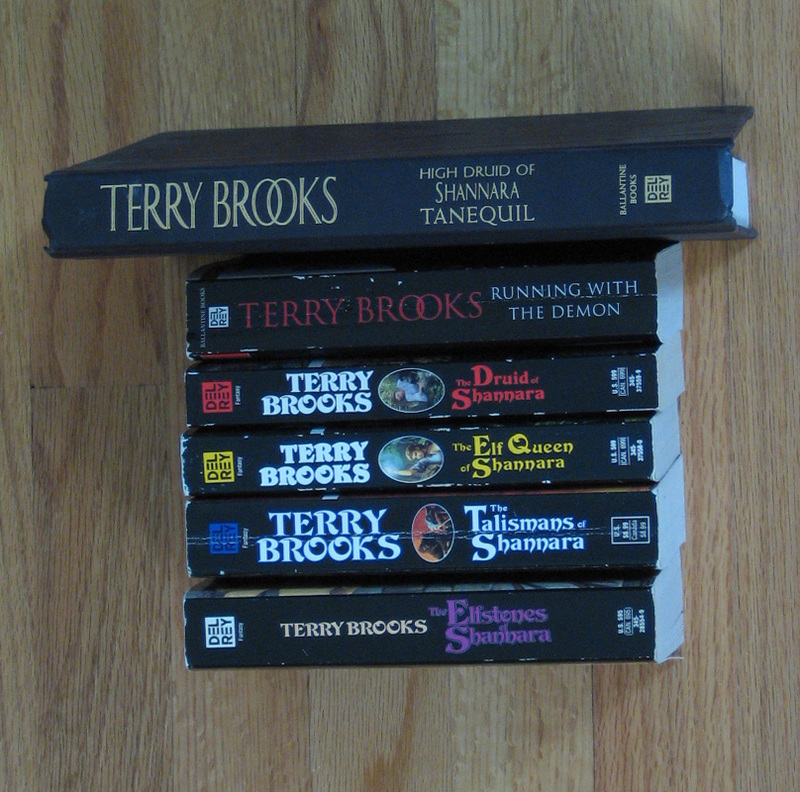 I’m trying to collect all of the Shannara books. 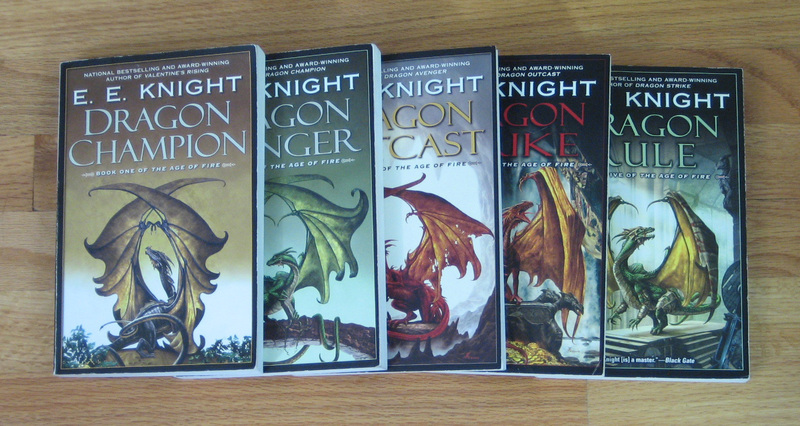 The first five Age of Fire books. It was pretty cool finding all these in a pile together. 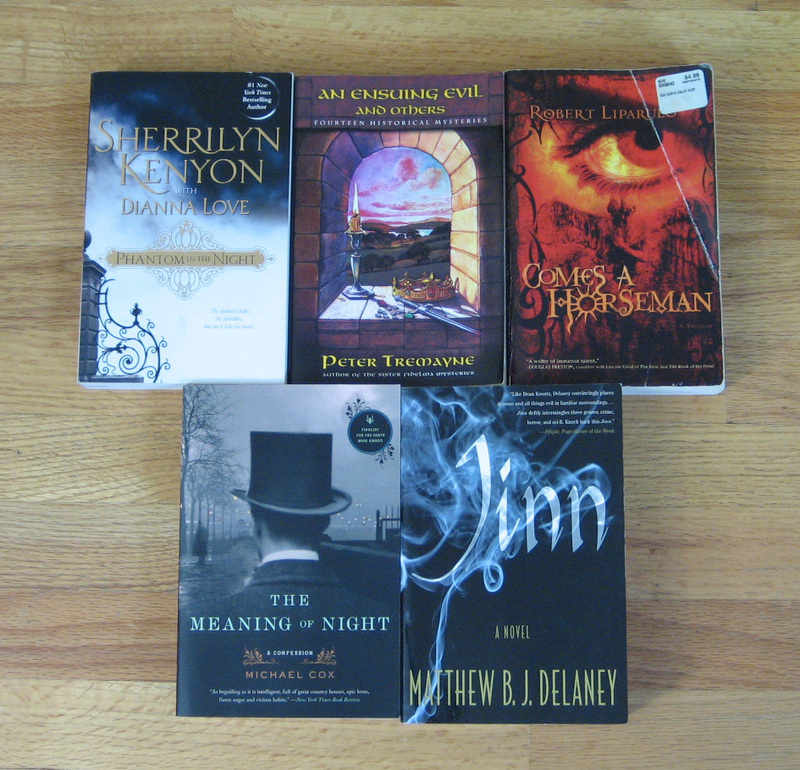 A few hardcovers. 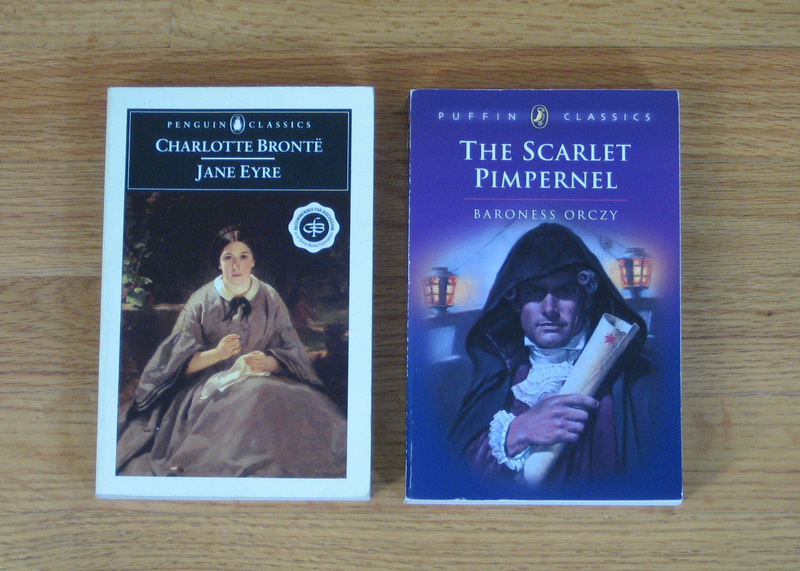 I always like to get books that are practically new. 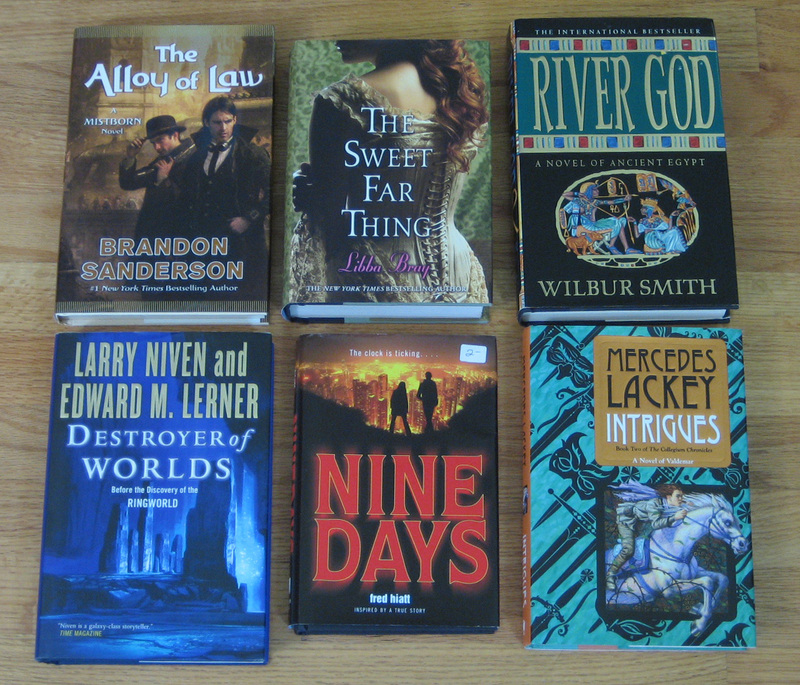 Some trade paperbacks. I’m most intrigued by Jinn, since they just made it into a movie. 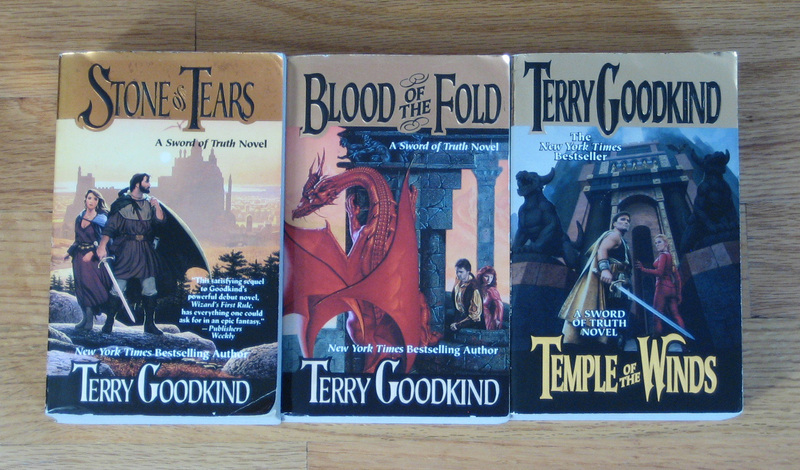 Random paperbacks. Stormlord Rising looks promising and The Name of the Rose has been on my list for a while now. 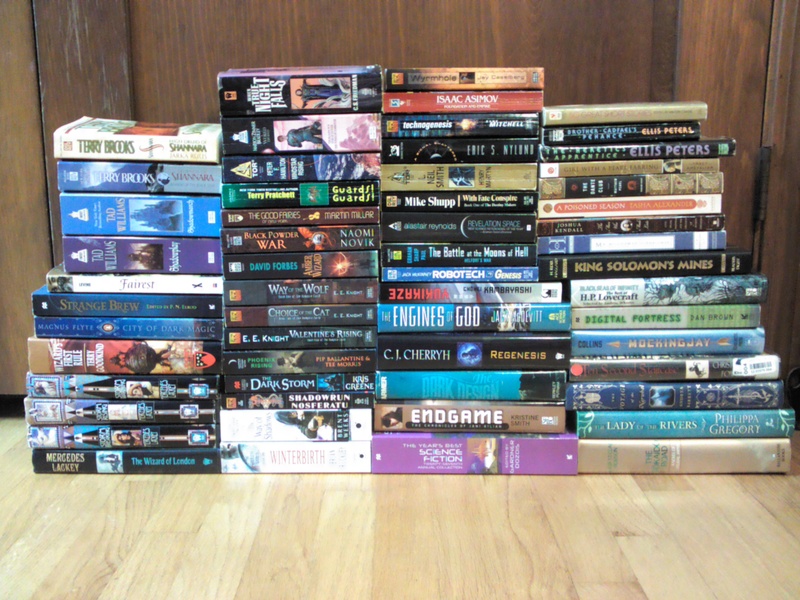 In the past two book sale posts I’ve done, I made a full list of all the titles, but 58 is just waaaaay too many to list, so I tried to take a decent picture instead. 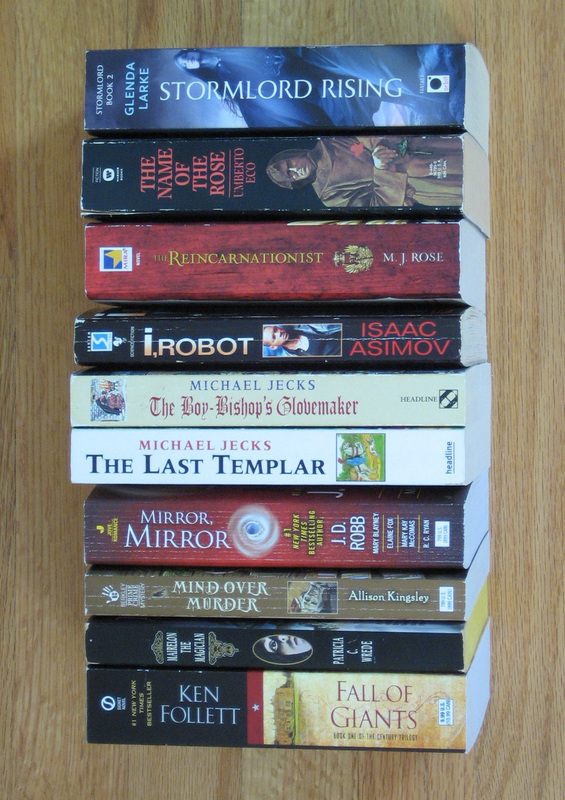 Hopefully you can read the spines well enough (click the image to make it bigger) even if a couple are a little blurry. 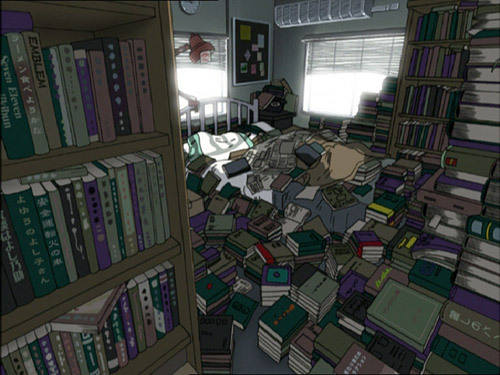 If you want to know more about a specific book, just leave a comment, let me know where it’s located in the picture and I can give you the title and author. 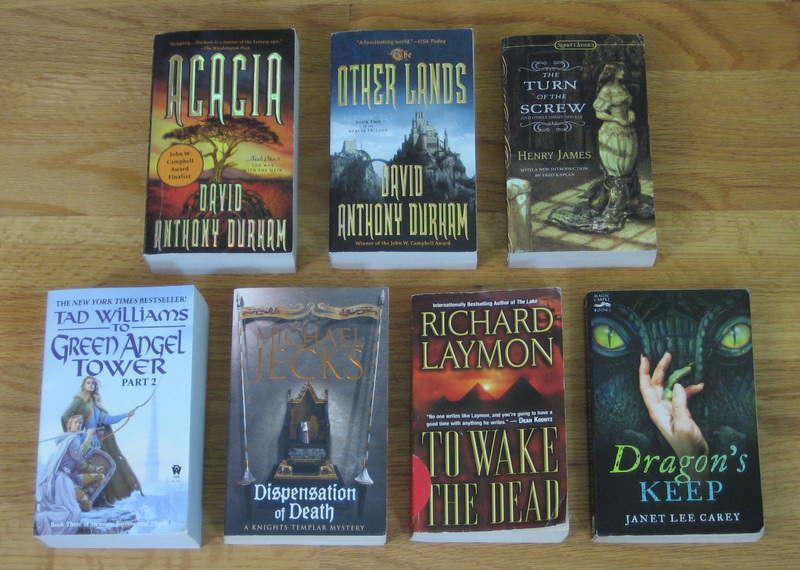 I got a lot of books that are first in a series, several titles that are already on my book list, and even a steampunk novel! 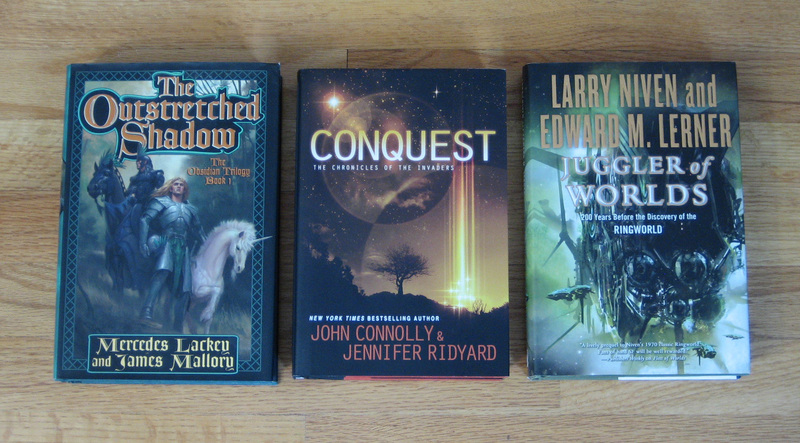 I’ve got a complete Mercedes Lackey trilogy, the first two books of Tad Williams’ Shadowmarch series, a couple omnibus editions of series I hadn’t heard of before, and three books in the Vampire Earth series by E.E. Knight. 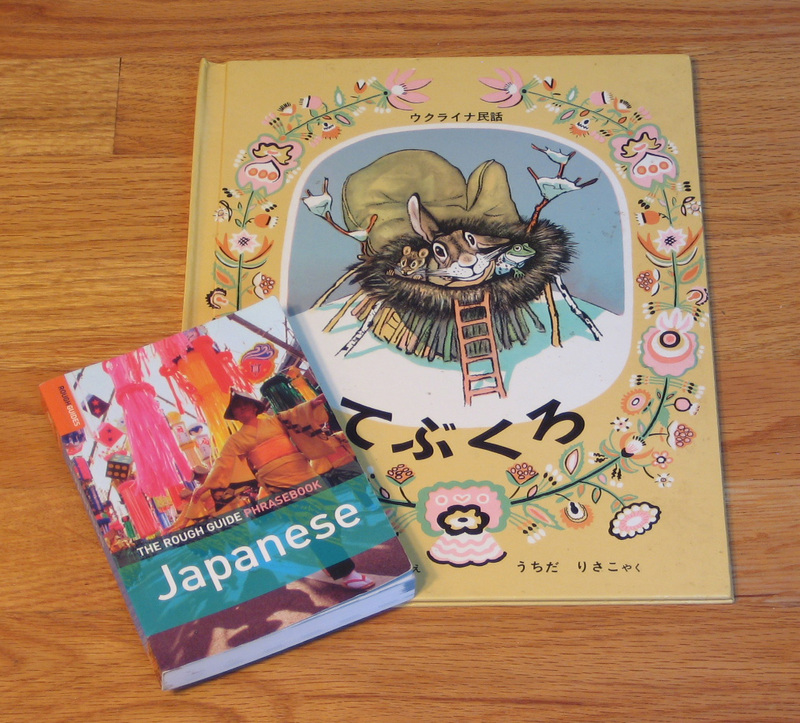 There’s also some Lovecraft, a science fiction novel translated from Japanese (Yukikaze, the one that looks upside down) and a book entitled The Voyage of the Narwhal…that one I got just because I couldn’t resist the title, although it happens to be about exploration in the 19th century. 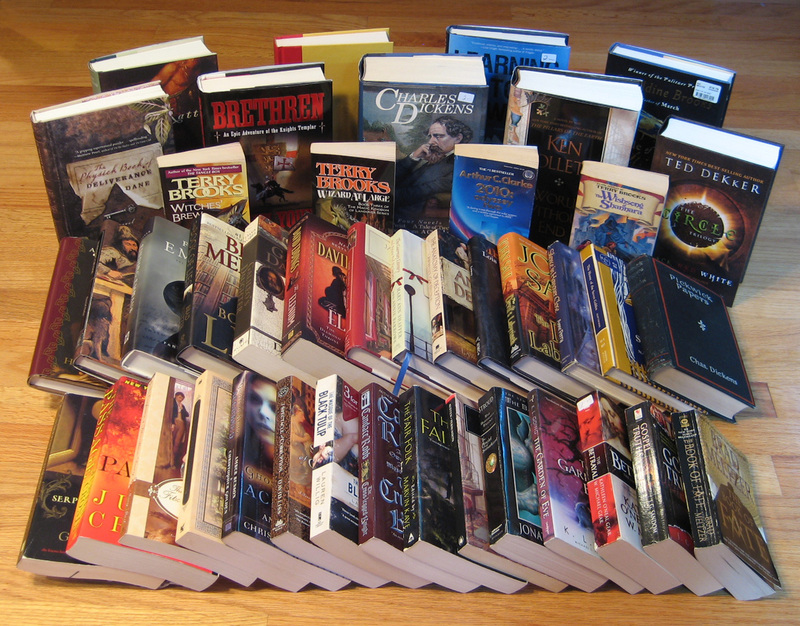 Even with all these books crowding my book shelves, I’ll be back for the sale in September. I can’t help it. If I have to, I’ll just start stacking them on the floor. As long as it doesn’t go quite this far, I think I’m ok. 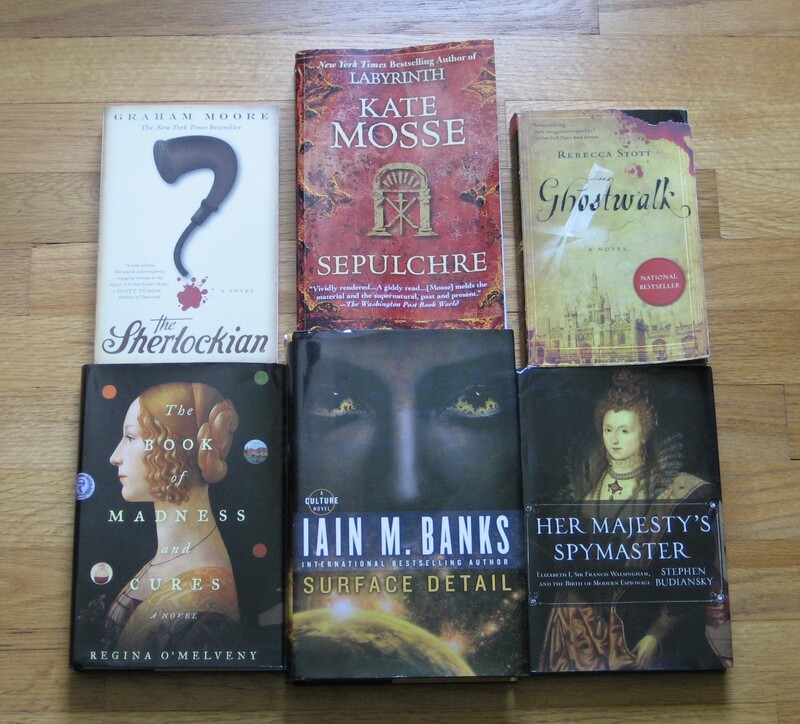 Yes, there has been another book sale already and while I’m not quite as proud of my finds this time, I think I still managed to grab some interesting reads. 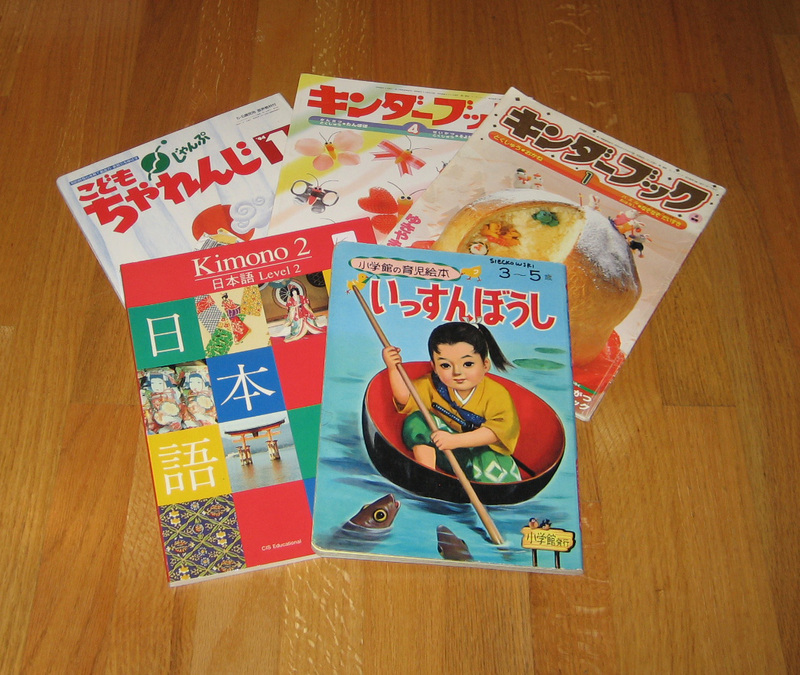 I also managed to find some interesting books in Japanese, and a learning Japanese book. I can barely read any of it, but I think they’re just fun to have and it might give me a little extra motivation to study.